Free Online Recruiting Software | What is the cost of a bad hire? Hiring involves a lot of time and effort to find the right employee. If after all the effort it turns out to be a bad hire, it is a total waste of your time and resources. 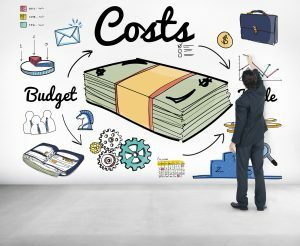 This article will help you understand the cost of a bad hire and how to prevent it. If you are not aware, online recruiting software can help make your talent tracking and hiring more efficient. Recruiteze is an online recruiting software that can manage your career portal, jobs, applications, candidates, notes and communications in one simple interface. How to spot a bad hire? What are the odds of a bad hire? 75% of surveyed employers said they have hired the wrong person in the last year. 37% of the surveyed employers said the candidate had lied about his/her qualifications. $17000 is the average cost of a bad hire in the last year. According to the same survey, these are the most common ways hiring the wrong person has affected their business. 33% said poor quality of output. 31% said it affected staff morale. 30% lost time recruiting and training another employee. 30% said it cost to recruit and train another worker. 29% said it resulted in team members spending significant time assisting. When classifying what makes someone a bad hire, employers reported several behavioral and performance-related issues. According to the same survey, employers reported the following behavioral and performance related issues. 52% bad hires had a negative attitude. 51% were not team players. Had issues working with other team members. 49% bad hires did not have the required skills for the job. 38% bad hires had bad customer reviews. 58% of bad hires produced poor quality work. How long does it take to identify a bad hire? 20% of the employers identified a bad hire within the first week. 53% identified within the first three weeks of hiring a bad hire. The survey results provide very useful information on the various ways a bad hire affects the company and team. What resulted in the bad hire? If you have determined the employee you just hired is not working out for your team. You need to analyze why you made the decision. Review your job description – Review the posted job description to see if it had enough information that would have filtered out candidates who did not fit the role. This is a good place to start since this is what results in receiving the applicants. Read this article on how to write job descriptions that make a difference. Review your job application – Review the job application if you had one to see if the candidate was misrepresenting themselves. If you do not have a job application process, you should seriously consider online recruiting software that allows you to create custom job applications. Screening process – Review your screening process to see how the candidate got through the screening process. If you are using a spreadsheet to filter and track your candidates, read this article on why using a spreadsheet for applicant tracking is a thing of the past. Was there a phone/video interview before an in-person interview? If there was only a phone interview and it went well, do you think a different person did the phone interview? Did you have an in-person interview? Did the person who did the preliminary phone/video interview have the required expertise to evaluate the candidate? Did you have the right team to evaluate during the in-person interview? Did your team ask the questions relevant to the position? Did your team ask the questions to understand the skill levels of the candidate? Did you ask the candidate to take a skills assessment test? Interview feedback process – These are some questions to ask about your interview feedback process, to understand if all the feedback was collected and evaluated. Did all interviewers provide their feedback? Who reviewed the consolidated feedback to make a decision? Was the decision to hire made during a meeting with all the interviewers? Do you have all the interview feedback notes? If you do not have all your notes in one place, you should sign up for an online recruiting software that will help you track your notes. Reference checking – These are some questions to ask about your reference check process. 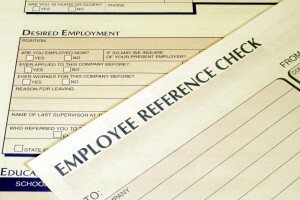 Did your team complete a reference check on the employee? Do you have the right questions to ask during a reference check? Was the reference provided a supervisor or co-worker? Did you ask references for both supervisor and co-worker? Background checking – Questions to ask about your background checking process. Did you do a background check on the candidate? Skills evaluation – Questions to ask about the skills evaluation testing. Did you conduct a skills evaluation test for the candidate? Was the candidate tested for the right skills? What was the scores for the skills evaluation tests? Was the test taken onsite or at their residence? If you have answered and analyzed the questions above, you might have a pretty good idea of what could have gone wrong. A single job posting receives 250 job applications, do you have a good process to manage your applicants? An online recruiting software can help you with just that. Write better job descriptions – Yes, this will definitely help restrict some applications. This article should guide you to write better job descriptions. Job application process – If you do not have a job application process, you should sign up for a recruiting software and setup your job application. This application can ask specific questions to see if the candidate has the required qualifications and skills for the job. Review the application during the screening process, this helps short list or reject candidates. Screening process – A good screening process can weed out some candidates. An online recruiting software can help filter out candidates who do not have the required skills for the job. Having an efficient workflow to interview or reject candidates will streamline your hiring process. Too many applications leads to confusion and sometimes bad hires filtering through the screening process. Interview process – The interview process should involve at least two interviews. An initial video call with the right team members to understand the candidates experience and skills for the job. If the candidate passes the video interview, an in-person interview with the right team members to evaluate the candidate fully. Feedback process – If you do not have a way to see all the consolidated feedback from your whole team you should sign up for online recruiting software. With an online ATS you can manage, track and review all the interview notes anytime. Carefully review each interviewer’s feedback, if you need any clarification about the feedback, talk to the interviewer and understand the details. If you have a larger team, setup a meeting to discuss your top candidates and come with the conclusion. Track all the comments for each candidate during the meeting so that you can review it later on why you hired someone. Reference checking process – If you are not checking references, start checking references. Ask the candidate to provide at least one past supervisor reference and at least two co-worker references. Have a good list of questions prepared for the references. Ask the questions and make note of the answers. Review and reference the answers while making a decision. Here are a list of good reference check questions that can help. Here are a couple of articles which will help you do a better job at reference checking. Even with all the care taken to the right person, things can go wrong. Using an online recruiting software you can review and analyze your hiring process and fix the issues. With Recruiteze our free online recruiting software, you can manage your career portal, jobs, applications, notes, scheduling and communication in one easy to use system. 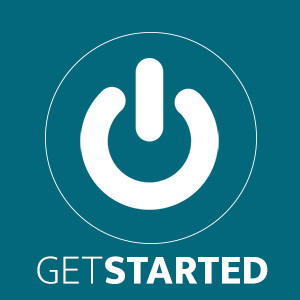 Recruiteze is available from the computer, tablet or smartphone as long you have a browser and internet connection. It will help streamline your hiring process, which can result in hiring great employees. A good hire can make a big difference to your team, company and bottom line. Try Recruiteze Free today! If you need help choosing the right kind of recruiting software, the following articles will help you pick the right package for your needs. Why you should use an online recruiting software? Important things to look for in an online recruiting software? Do you really need AI in your online recruiting software? How to evaluate an online recruiting software during free trial? How to use an online recruiting software to manage your job applications?